This mini guide to London doesn’t include any museums, landmarks or sightseeing hot spots. Well, not the Hot Spots that you’d read about in Lonely Planet guides anyway. This, is my personal list of things that I absolutely love to do in the fabulous city that I’m proud to call my home. 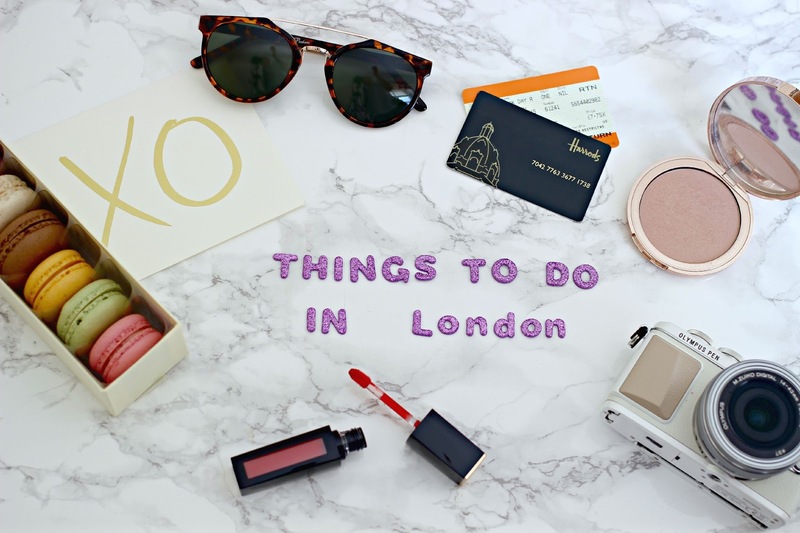 All of them are amusing, alternative and suit a wide variety of tastes and budgets, so if you want to discover the city in a slightly different way, here are my favourite Things To Do in London! 1. Take a Rebound fitness class. Never have I ever enjoyed exercise quite so much as I did at a recent Rebound fitness class! Available across the capital, they are a lively, high-intensity class which you complete on a mini trampoline! I visited this one in West London, where we shimmied and shaked to tunes from Pharrel Williams and the Spice Girls while burning off calories. With brands from Mac and YSL to Chanel and Valentino all under one roof, it might seem odd that it’s the Spa in Harrods that makes my list! But yep, hidden away on the fifth floor is the most opulent Hammam (Turkish bath) spa experience. In a marble den, you de-robe and relax in the warm haven, before being taken to an individual marbled area where the body is scrubbed and massaged using black-olive soap, a chess glove and finally warm water from the baths. As it’s Harrods, you can imagine that every part of the spa experience is utterly luxurious, from the box of essentials that you’ll find in your locker, to the heavenly products that are yours to use in the showers afterwards. I sauntered out of the Hammam feeling not only cleansed and relieved of tension, but also revitalised and energised – just how one wants to feel before a shopping spree! 3. Afternoon Tea of course! I have devoted many, many blog posts to Afternoon Tea places in London, and it’s absolutely one of my favourite things to do in the city. Here are my favourites and some of the most unusual teas in London. As well as Afternoon Tea’s, something we do pretty well here in London is a good Market! Whether you head for the foodie delights of Borough Markets, or brave the crowd on Portobello Road, there seems to be a Market for all of your wants and needs. 5. Make the most of Public Transport! With some Bus routes taking you past the big sights such as Big Ben, Trafalgar Square and Buckingham palace, sometimes it’s nice to just climb on board and take in the sights of the city from the top deck of the 137 bus! The Thames Clipper is a fantastic way to see the city from the River, and why not take it all the way down to Greenwich and stop for a picnic on the river bank! And there are definitely ways of avoiding the crowds (and the cost!) of going up the official way, such as Afternoon Tea at Gong – on the 52nd floor of the shard, or even better, Yoga at The Shard which allows you to go right to the very top and enjoy a Yoga class before the crowds arrive! Or Santander bike as they should now be known! Definitely the funnies way to view the whole of London town, there are over 10,000 bikes across 700 stations in the city. I love to while away the hours around Chelsea and Kensington or across Hyde Park for the most scenic of rides! 8. Have a coffee in a public restroom. It seems to be a growing trend to create beverage hot-spots in disused public toilets, so if you fancy something a little bit different then head to The Attendant near Tottenham Court Road or WC (Wine & Charcuterie) in Clapham for a very different dining experience!